I’m still catching up with posting some of my Summer ’09 finds … and this is one of them! This is a jolly golden Buddha statue at the San Lin Chinese Lounge near Elkton, Maryland. It stands back off the highway just a bit – so if you’re traveling too fast you might miss the the San Lin’s wooded driveway. One of the first things you’ll notice at the end of the driveway is the brightly striped San Lin, with its neon bar signs and karoke advertisements. Buddha sits at the side of the building (facing US 40). He has a little decorated fenced-in area (complete with a warning about a nearby security camera). The lounge wasn’t open yet for the evening when I visited. A very nice gentleman (a regular customer at the San Lin) was waiting outside in his truck for the owner to arrive and open for the night. He introduced himself and explained the security camera warning. 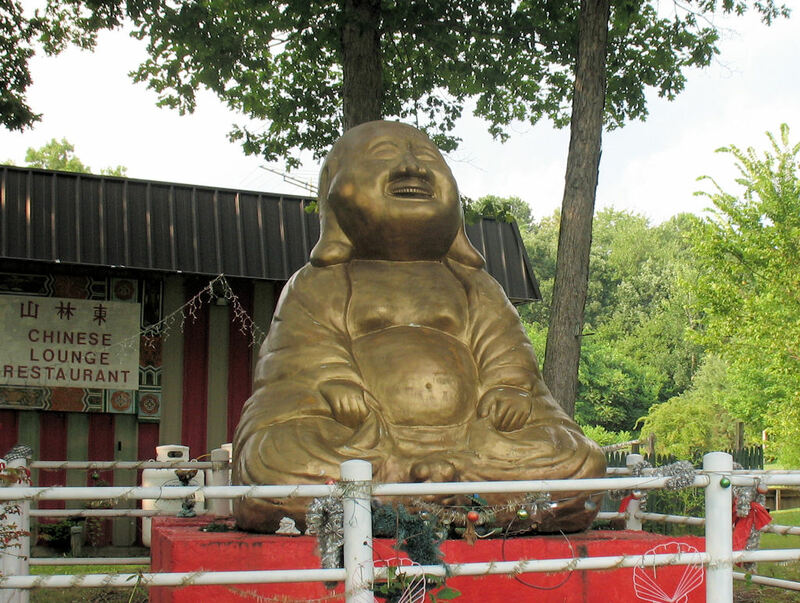 Apparently, the Buddha has been vandalised several times (both at its present site and when it was located in front of the San Lin’s previous location in nearby Havre de Grace). It was initially “stolen” as a high school prank. Years later, it was torched in a racially-motivated incident. 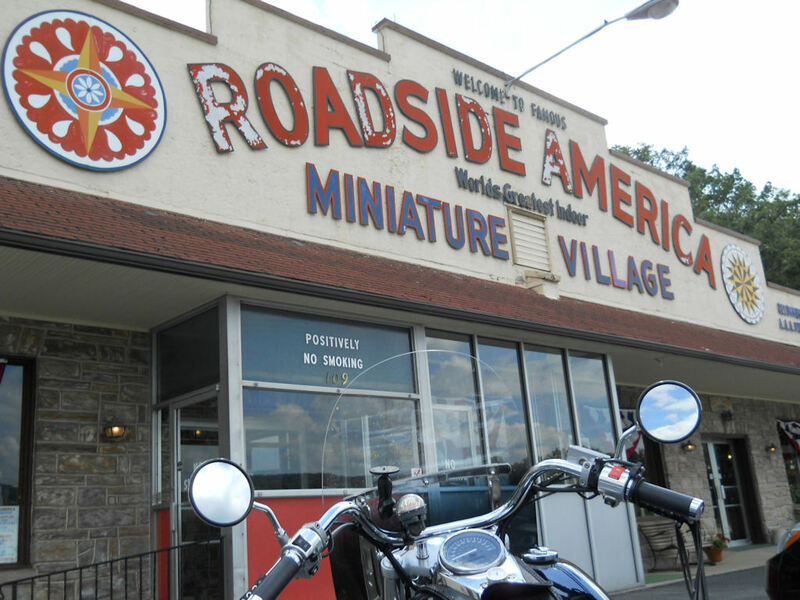 warning if you visit on two wheels instead of four: brush-up on your “gravel negotiating” skills. The driveway has very loose & large gravel with lots of diagonally eroded spots. 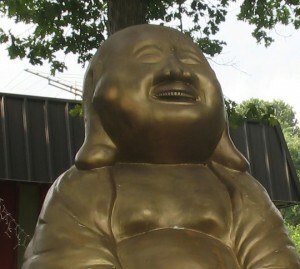 My Kung fu school sold this statue to san lin gardens when it was in havre de grace. It was actually set on fire and lost while in from of san lin gardens in Elkton. Not complete loss it was redone and sitting back in front. we use to have it sit in front of our Kung Fu school to attracted attention. Thanks for the info, Chad!